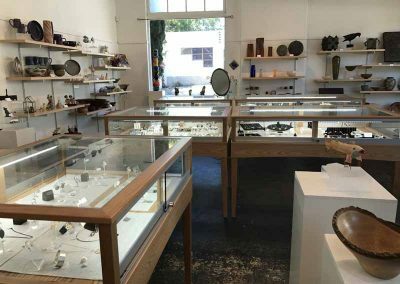 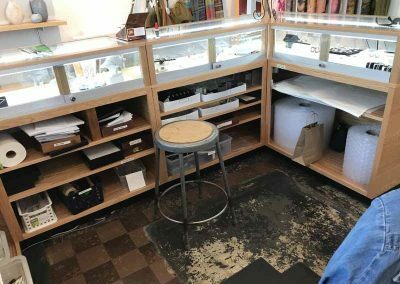 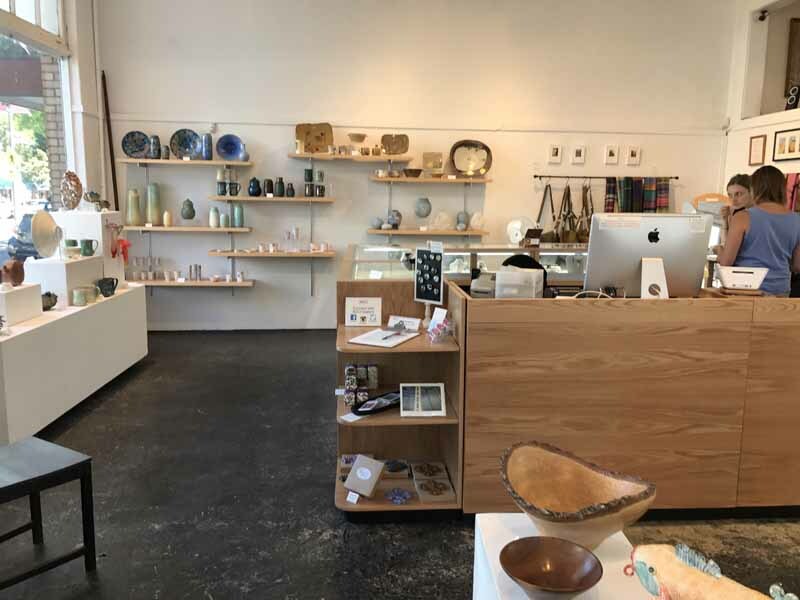 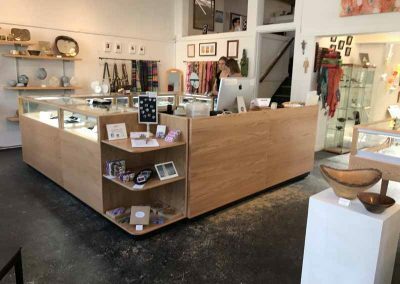 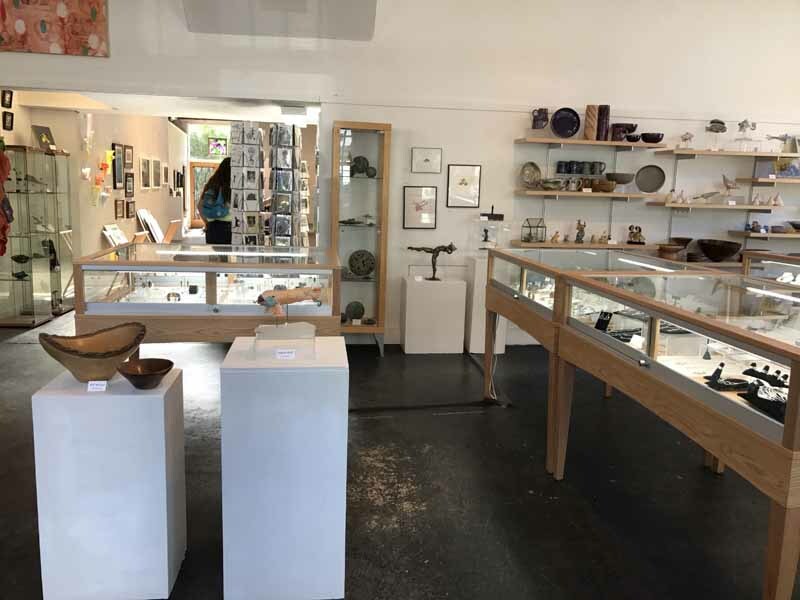 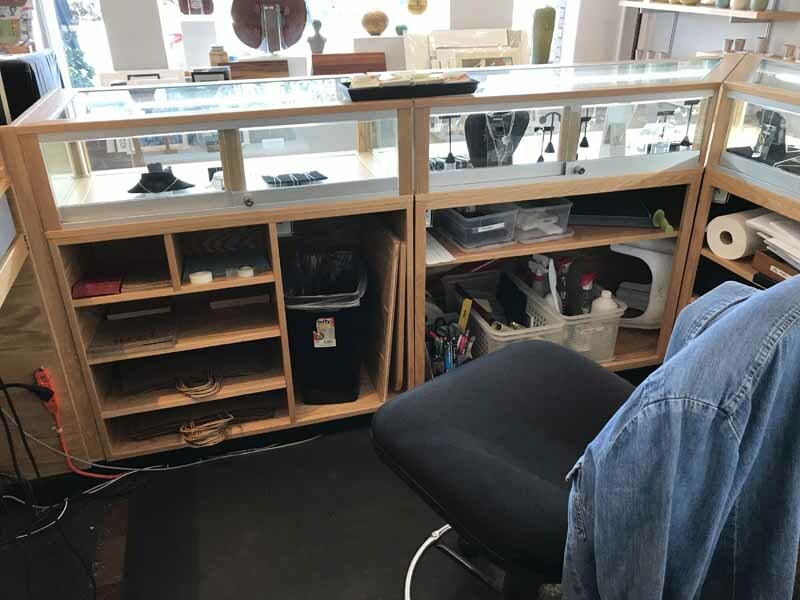 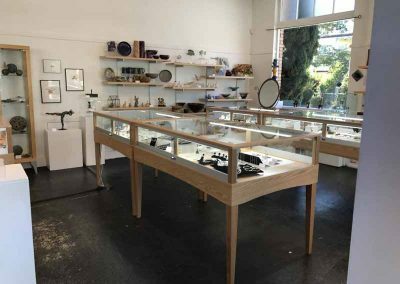 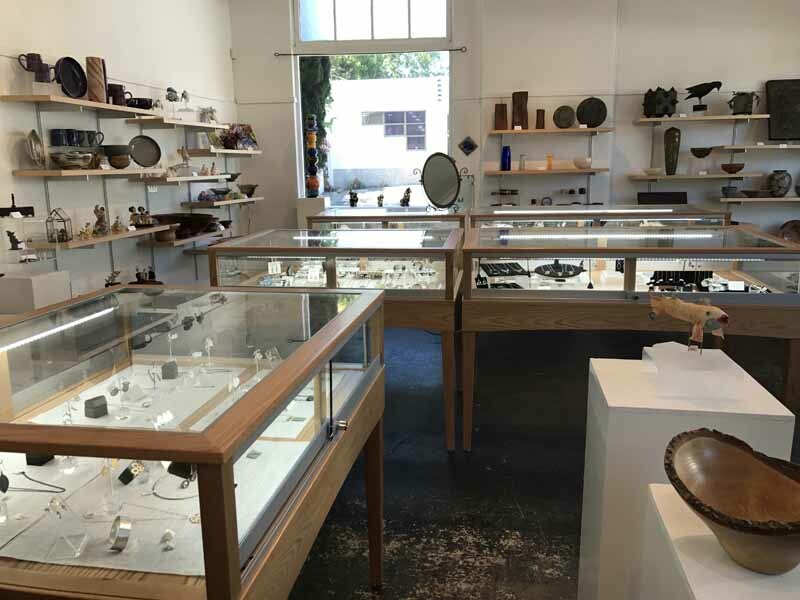 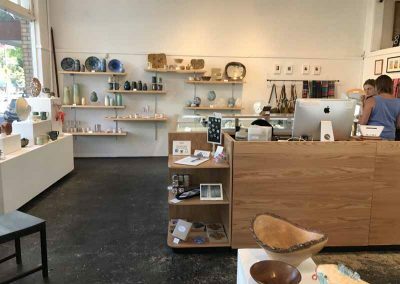 ACCI is a retail gallery in Berkeley, CA that sells art and jewelry on consignment. 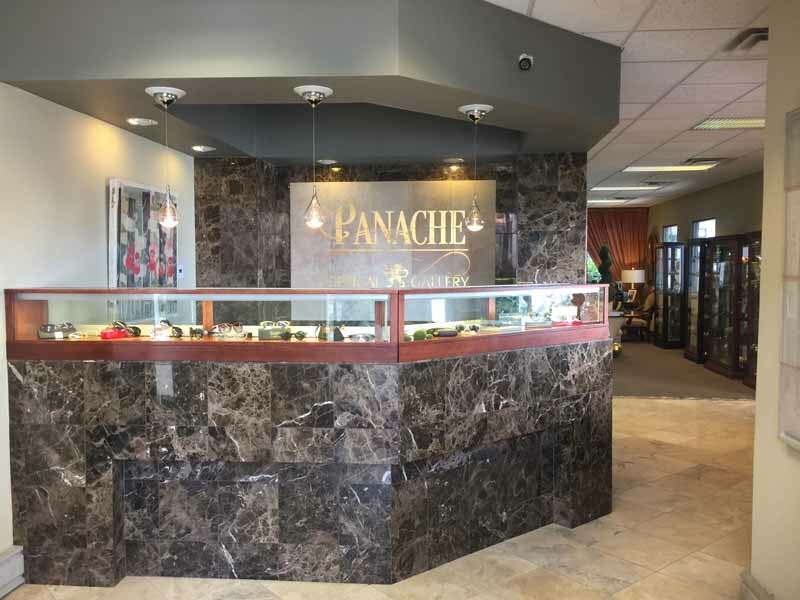 They wanted to replace some very ancient display fixtures and cash wrap with new fixtures. 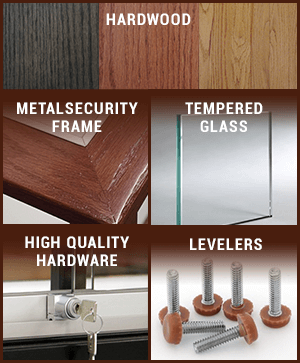 We worked with them on a revised floor layout to enhance traffic flow and make a more enjoyable shopping experience. 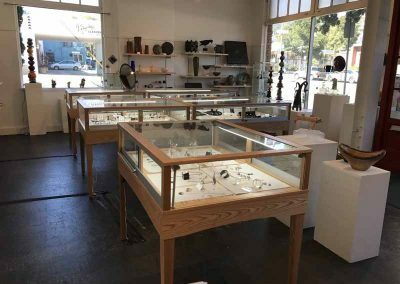 We were able to build 13 fixtures within their budget and increase the total square footage of display area of what they had before. 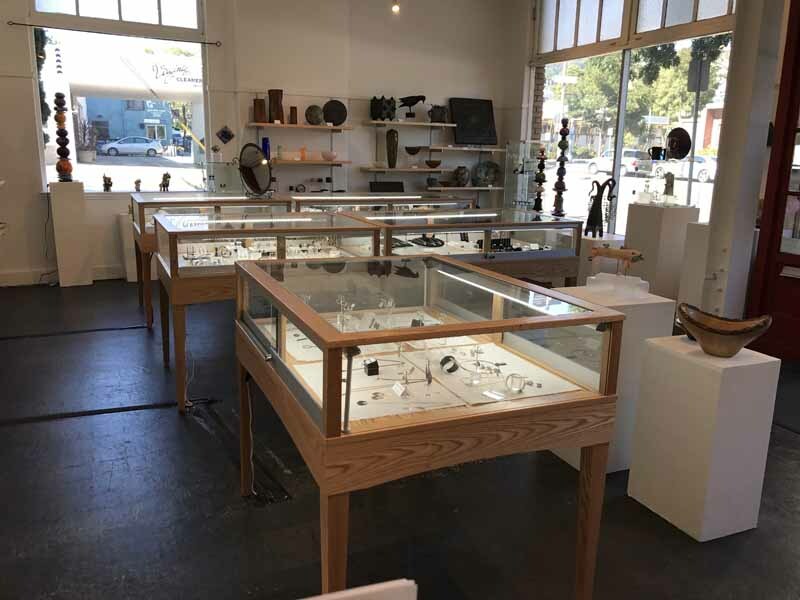 We built the cases out of Red Oak with a protective clear coat that will continue to look great for many years. 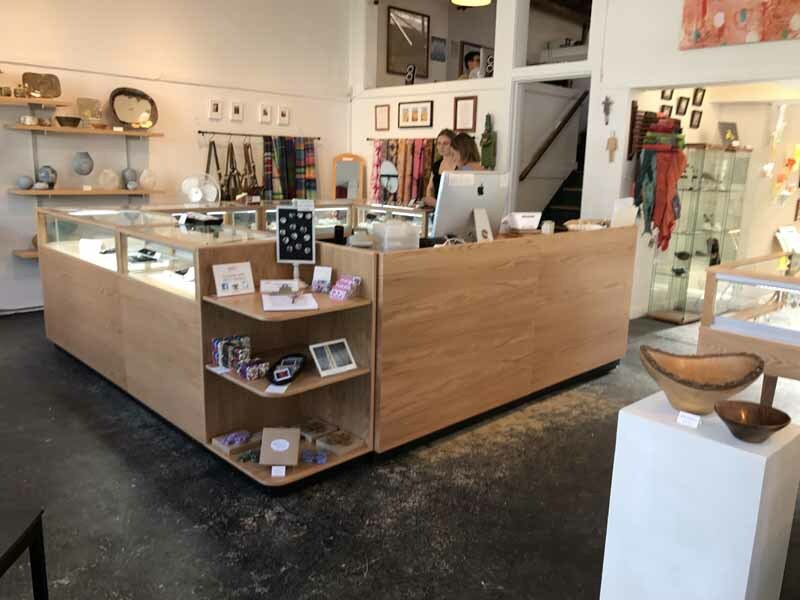 We designed a cash wrap that was much more functional and attractive. 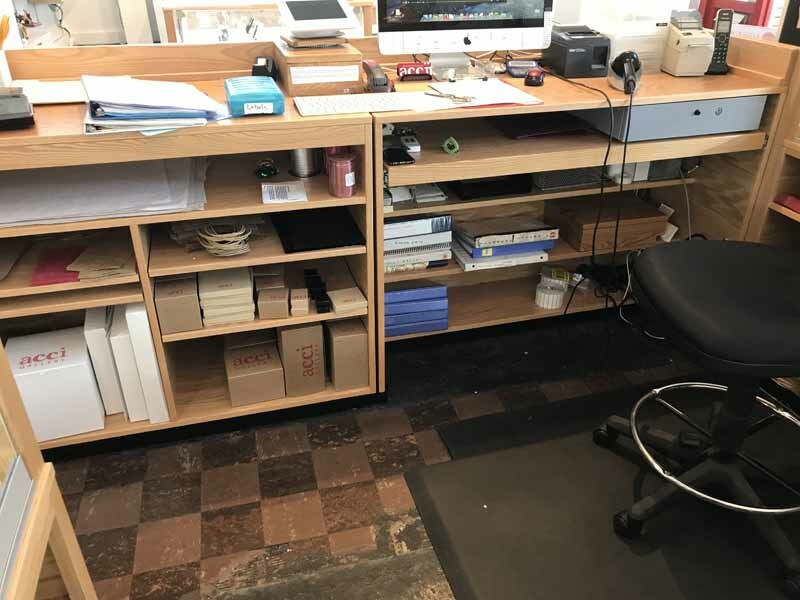 Since ACCI is a cooperative the layout and design had to be approved by several people. 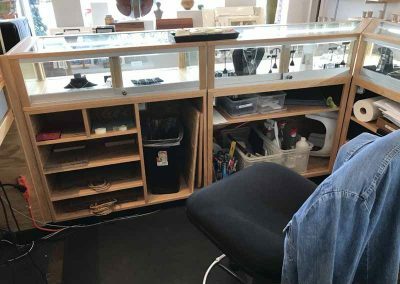 After the fixtures were installed the response was that we had accomplished their goals and they were very happy.